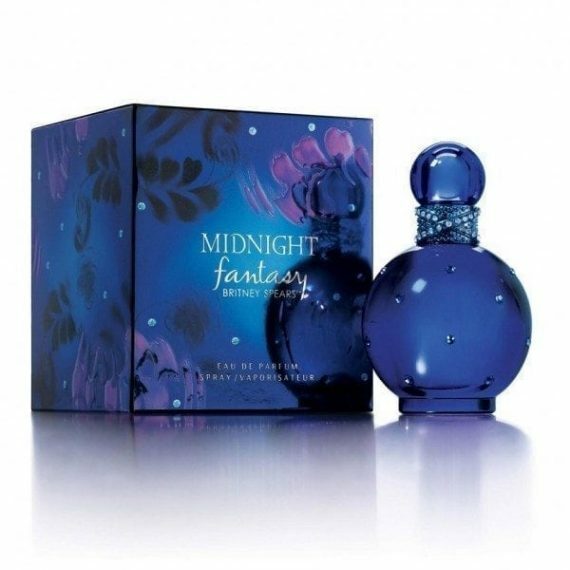 Midnight Fantasy by Britney Spears is a rich and exotic Eau de Parfum. It is composed of top notes Black Cherry, Framboise and Plum with heart notes of Night Blooming Orchid, Iris and Freesia and base notes of Amber, Musk and Vanilla. The predominant note is Plum and the fragrance is moderate to long lasting. It is an unforgettable and magnetic fragrance. The scent was launched in 2007 in a dark blue curved bottle adorned with Swarovski crystals and is available in three sizes of Eau de Parfum – 30ml, 50ml and 100ml along with many other perfumes by the singer.